HI folks! I'm looking at the terrain piece "Bone Totem" and am trying to understand what it represents and how to build it as a 3D terrain piece. Has anybody done this? I can't really make heads or tails of the graphic on the tile - it looks like a giant tick to me. To me it looks like a giant skull, chained to the ground, with cloth/appendages coming out of the eyes. I see a horned skull chained to a boulder, with ribbons streaming from the horns. Also, a rib cage and a human skull are on the boulder with lots of blood. So I guess the bone totem is really just a big sacrificial altar, so you can model that however you choose. Personally, it looks like a human skull rock formation with the Uthuk Emblem placed on it. 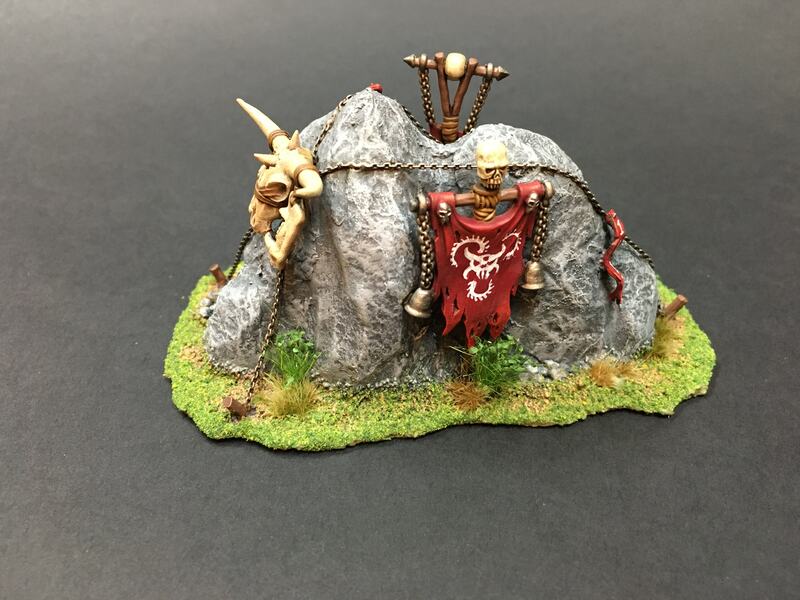 The stone is styrofoam and skulls and standards are mixed GW leftovers. I lack words to describe how I felt when I saw this. You literally left me speechless. Wow! Just, WOW! That is pretty awesome. Something to strive for in my future 3d Terrain endeavors. 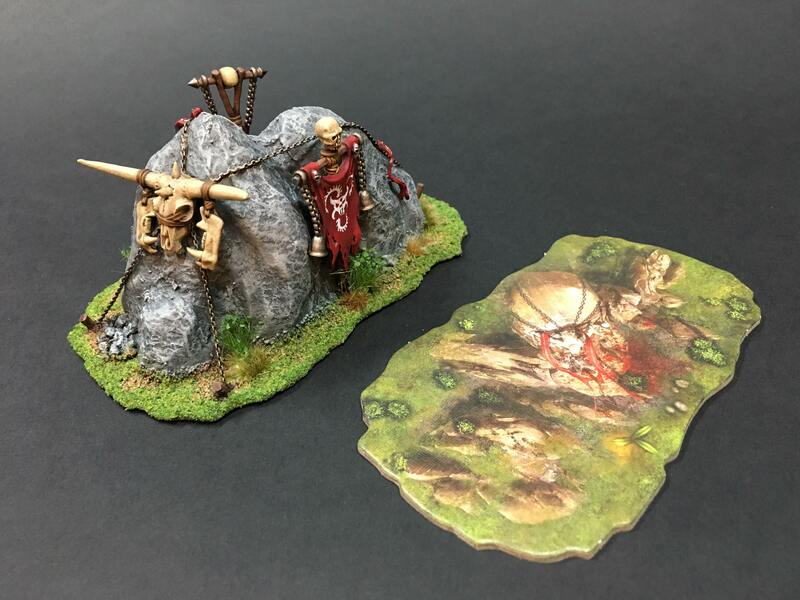 These terrain pieces are rather fun "mini-projects". Just ordered the last missing 3 heroes so perhaps I can finalise the terrain collections soon. Other painting projects have been in the way though... lets see when I get back to the terrain project.